Melissa Sullivan was so shy growing up, she would stare at the ceiling to avoid looking at people. 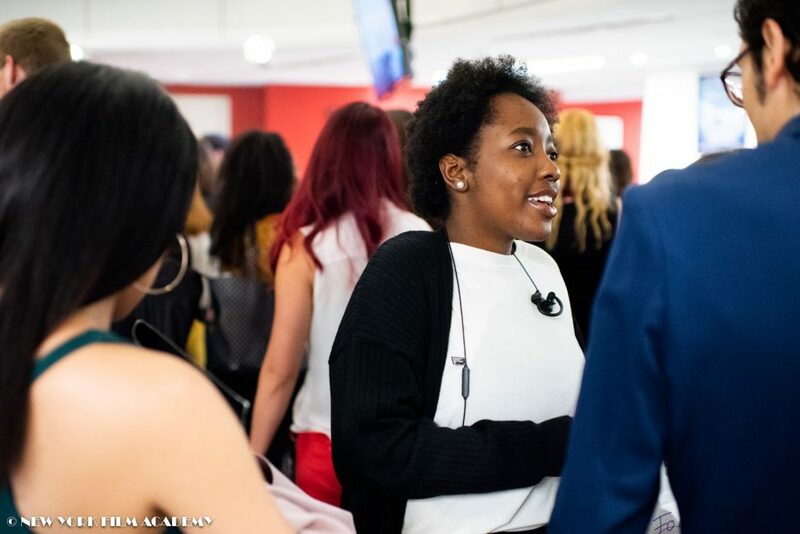 Eventually, realizing “ceilings weren’t going to get me anywhere in life,” she decided to make a change—and committed to talking to one stranger a day. That, plus an affinity for the stage, got Sullivan out of her shell and into a variety of performing arts: theatre, television, film, and music. 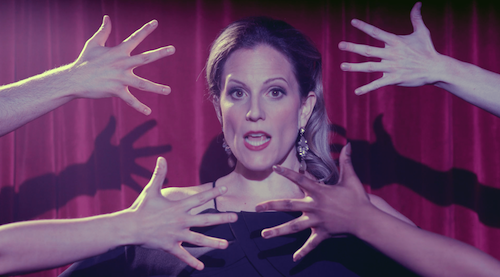 Sullivan, who teaches acting and is the musical director of the NYFA Glee Club, took some time to discuss her career as a multi-hyphenate and her upcoming album. 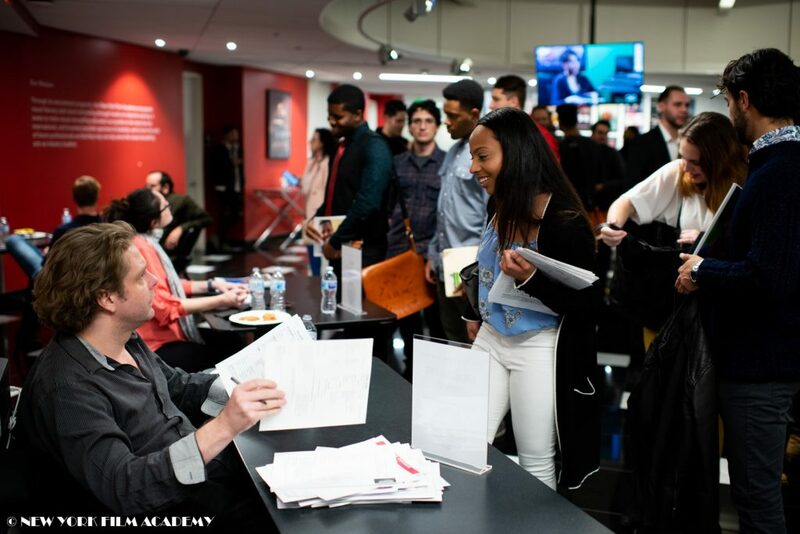 New York Film Academy (NYFA): How/when did you know you wanted to pursue the performing arts? Melissa Sullivan (MS): In Naha, Okinawa, my mother put me in a ballet class. I remember a performance being back stage. I loved it. The smell of the stage, the curtains, the anticipation of the performance. I wasn’t the best dancer but the experience was informative and I knew I was at home in the theatre. 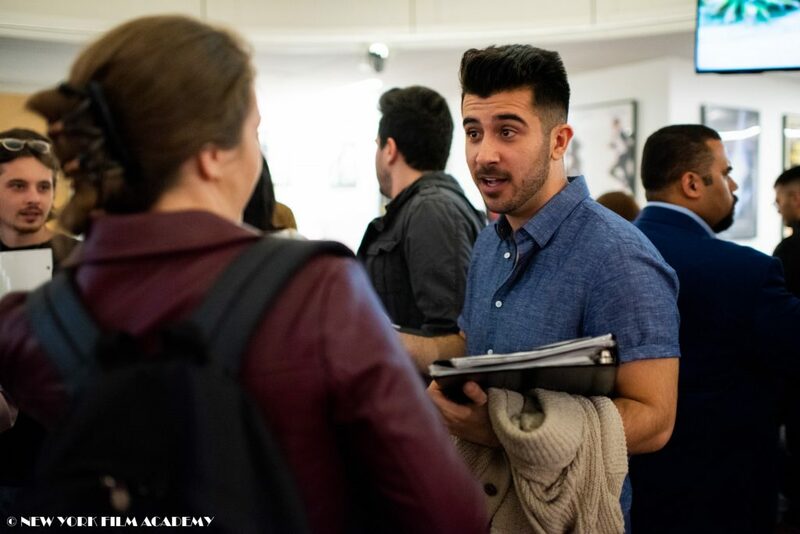 NYFA: You’ve performed in a variety of fields—theater, television, film, and music—and have also directed. As an artist, how do you see yourself and why? MS: When I first moved to Los Angeles things were very different than they are now. I heard “Are you an actor, or a singer? You need to pick one.” Now it is much more fluid. Performers have more freedom to explore, perhaps because of technology and the access to it. The connection of artists globally through technology is amazing. I studied at California Institute of the Arts where all disciplines lived side by side. You would hear music in the hallway, walk by a piece of art, see dancers in the distance, artists in the gallery discussing someone’s work, and watch filmmakers editing in the graffitied sub-level. It was such a great environment. After I graduated, I never gave that spirit up. NYFA: Speaking of, you have a long list of credits in various mediums. Of all the work you’ve done, what are you most proud of and why? MS: Recording my album of original music and playing Honey in Who’s Afraid of Virginia Woolf at the Actors Studio, directed by Barbara Bain. NYFA: Additionally, are there any others that stick out in your mind of being particularly memorable and why? MS: Filming an episode of Shameless. I had been called into the casting office for Shameless for a few years and was happy to finally land a part. I’m really happy with the work that I did on that show. The experience was fast paced and yet enjoyable. It is a great production from the actors, directors, AD’s, scripts, grips and on. NYFA: As a multi-hyphenate, what is the most challenging aspect about wearing different hats, project to project? How do you take on the challenge? MS: Working on a few things at once suits my mind. I am very busy, so I write music while I walk my dogs or drive to work. I wrote some of my favorite songs in my car. I guess to be a multi-hyphenate you have to organize your time well and I have gotten better at this. Teaching has inspired me to take more risks. When you talk with students about their growth and how to facilitate it, you in turn have to follow suit with your own work. NYFA: You’re the musical director of the NYFA Glee Club and have said that “music can transform people.” Can you elaborate on that? MS: I have seen students petrified to sing in front of one person, but at the end of the semester they are performing in front of an audience of 90 people. Singing brings people confidence. It is a raw emotional expression. With the Glee Club I try to foster leadership and collaboration. We have student conductors and section leaders. I am blown away by their talent. NYFA: Speaking of music, you have an album coming out in December. How would you describe your music? MS: I am a trained jazz singer so my songs come from a jazz foundation, but it is an amalgam of genres: jazz, blues, and pop. I am almost finished! It’s been quite a journey. 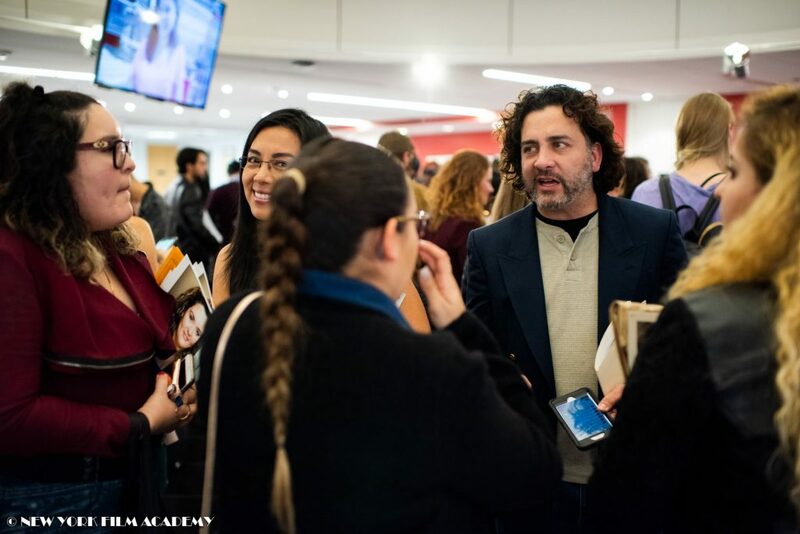 NYFA: What’s your favorite thing about teaching at NYFA? MS: I admire my colleagues. I appreciate the support that the acting and filmmaking teachers give to one another. I also love the fact that the students are from all over the world. I have so much respect for foreign students who open their hearts and act in a second language. I also really like working with the veterans. I appreciate the time they served for our country and I find most of them are highly disciplined at NYFA. They are brave and want to dive into the craft. New York Film Academy (NYFA) alum Fatima Al Taei stars in Justice, the procedural drama set in Abu Dhabi that is now available on Netflix. The 18-part legal series originally premiered on OSN HD in 2017 and is now available for streaming with subtitles in 20 different languages. Al Taei first attended NYFA in 2009 in Abu Dhabi. Since then, she has gained steady work as an actress, including a lead role in When the Autumn Blooms, Saudi Arabia’s first longform drama series. Justice (Qalb Al Adala) was created by Oscar nominee Walter Parkes (He Named Me Malala) and Emmy award-winning producer William Finkelstein (LA Law) and was filmed and produced in Abu Dhabi by Image Nation and Beelink Productions. The story follows a passionate lawyer, Farah, who rebels against her father’s firm and sets out on her own to become a defense attorney. The series uses actual cases from the Abu Dhabi Judicial Department as a basis for their stories, and was directed by Ahmed Khalid. In a recent Harper’s Bazaar Arabia piece, Al Taei’s character was called a “strong, ambitious” lead”—an important milestone for female representation on television in the Middle East. 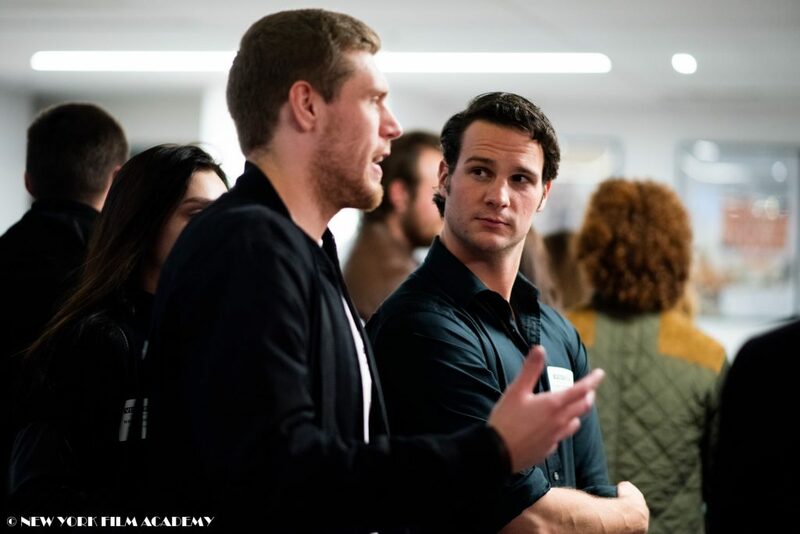 New York Film Academy (NYFA): What did you learn at NYFA that you applied directly to your work on Justice? Fatima Al Taei: When I was learning at NYFA, they made sure not to tie me into a specific technique—they taught us different ways to get into the character and it helped me in different situations during the shoot, being flexible and open yet focused and specific. Also, they taught me how to deal with other actors and directors. NYFA was a lab for me, with great helpful tutors! 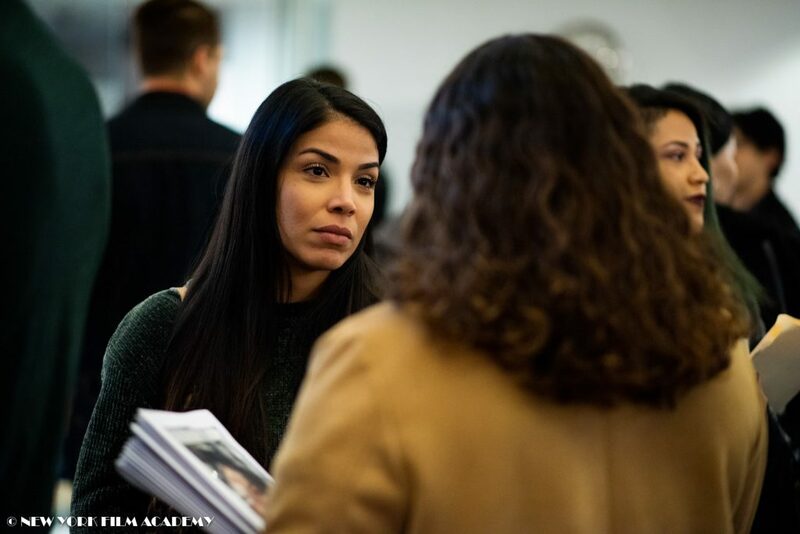 NYFA: Can you speak a little about your experience playing a strong, ambitious Emirati woman? Do you see yourself as a role model for other Emirati women? Fatima Al Taei: It was a unique experience. We had the opportunity to shoot inside actual courtrooms, because all the cases are based on true events. Playing a strong Emirati woman is the same to me as playing any “strong woman,” an inspiration for all women to follow what they believe in no matter what kind of pressure they may be under. So it’s not only for Emirati women, but for all women. 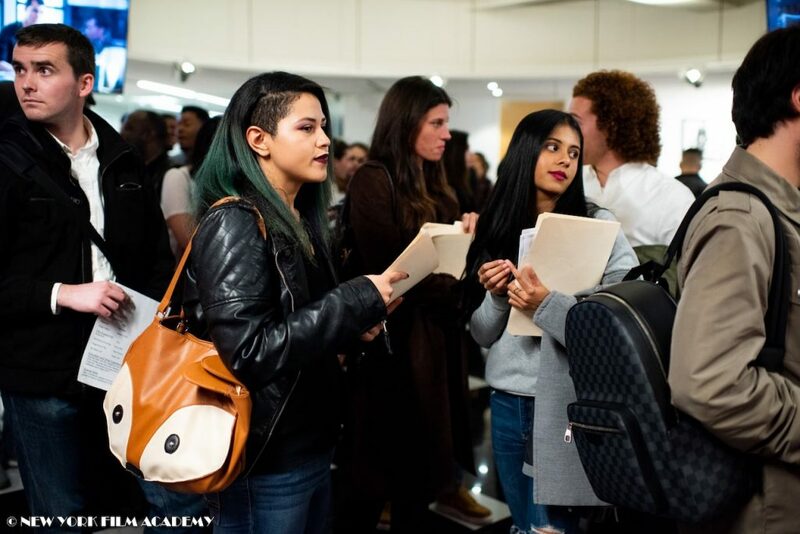 Fatima Al Taei: NYFA will teach you so many things. You will be surrounded by people who have the same passion, which is good networking as a start. 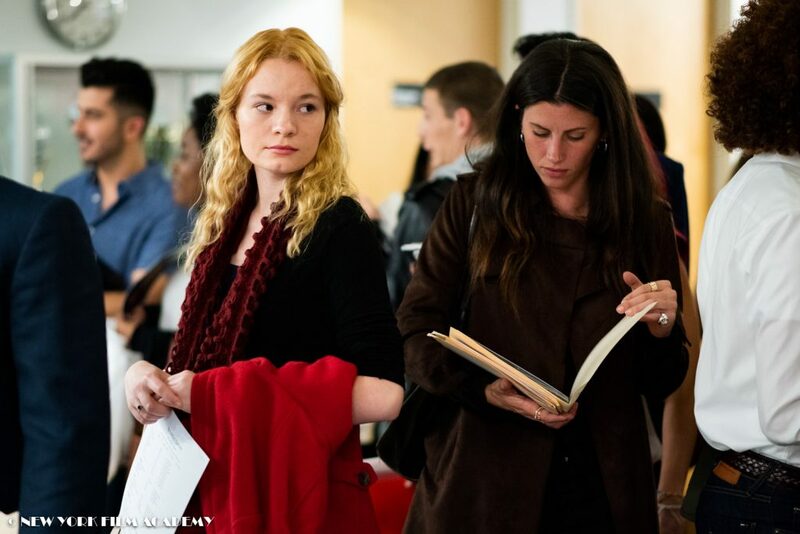 But NYFA will not do the job you have to do—you have to secure your dream and make it happen. 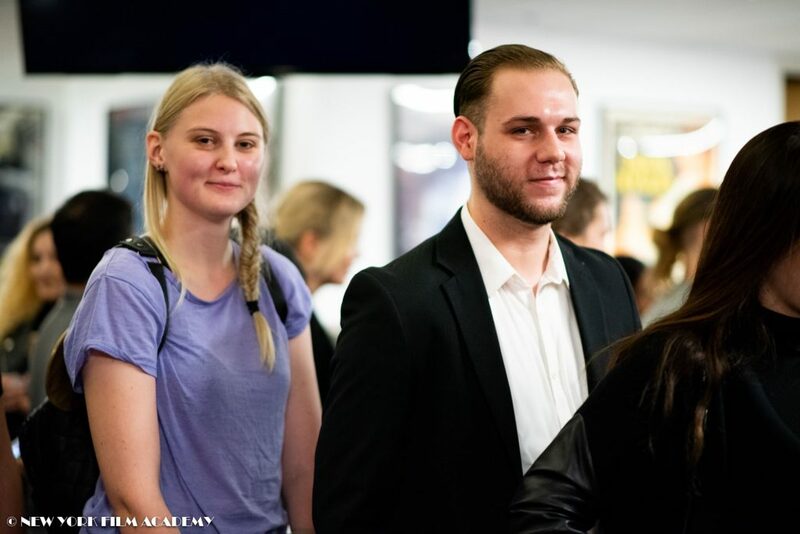 If it takes months or years, studying at NYFA won’t be a waste unless you give up. Many students disappeared after graduation because they didn’t have enough patience and didn’t want to get out of their comfort zone. The industry is not much in interested in your specific acting techniques (these are your tools.) If the industry is interested in “You” they will work with you—your attitude and passion is important, so MAKE THEM WANT TO WORK WITH YOU. The New York Film Academy congratulates actress and alum Fatima Al Taei on her success and encourages everyone to check out her legal drama Justice on Netflix! 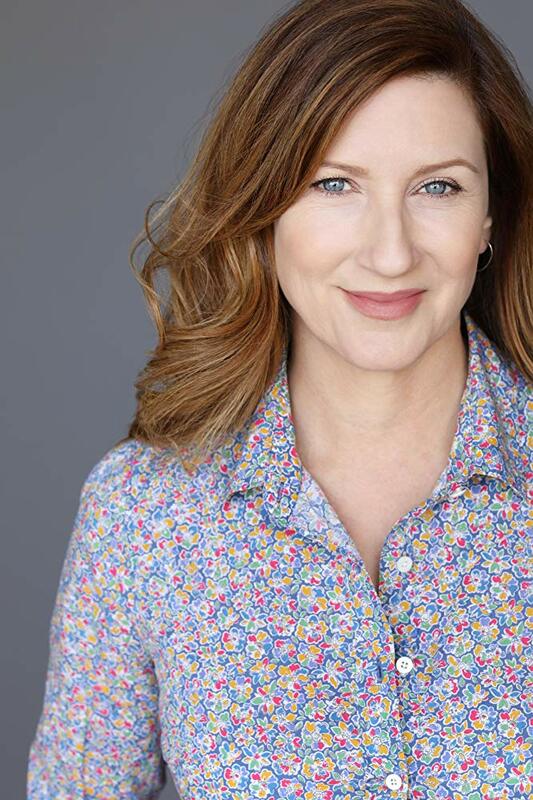 New York Film Academy (NYFA) alum Mey Novak was always meant to be an actress. She’s always been a huge movie buff, especially action movies, but she’s acted in plays from a young age. 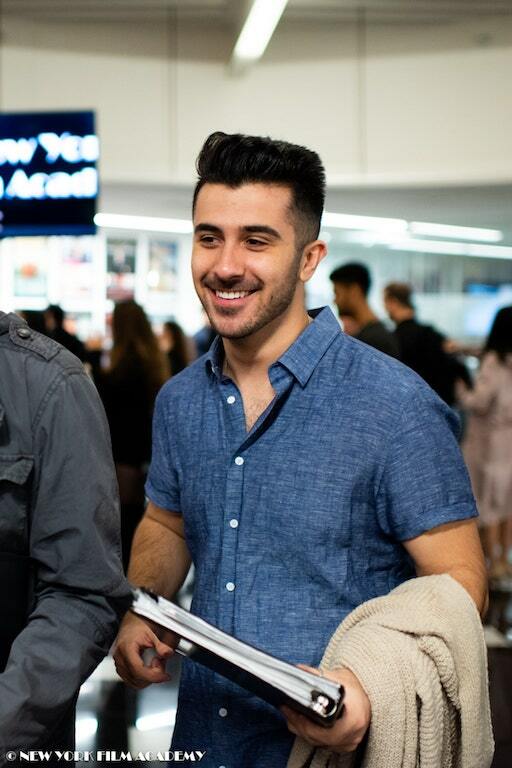 Originally hailing from Brazil, Novak first attended New York Film Academy (NYFA) in 2012, taking the 4-week Musical Theatre workshop at NYFA’s Professional Conservatory of Musical Theatre. She followed that with more advanced studies in NYFA’s 1-year Musical Theatre conservatory. 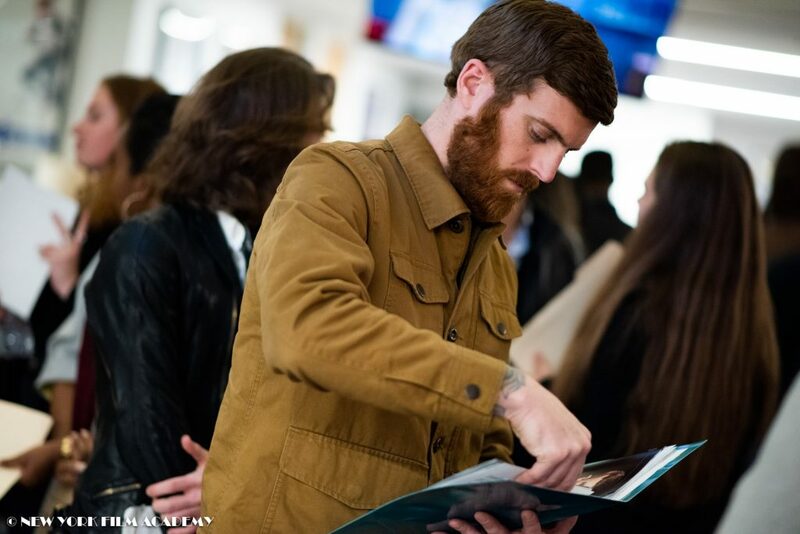 After graduating, Novak worked as an admissions specialist at NYFA’s New York campus, helping fellow aspiring artists from Brazil enroll at the Academy. She’s acted in commercials, short films, and most recently, the feature film River Runs Red. River Runs Red is a thriller/drama written and directed by Wes Miller and starring Taye Diggs, John Cusack, George Lopez, Luke Hemsworth, and RJ Mitte. Miller previously directed Prayer Never Fails and Atone, and is completing production of Hell on the Border, starring Ron Perlman and Frank Grillo. New York Film Academy (NYFA): First, can you tell us what drew you to acting? What brought you to the New York Film Academy? 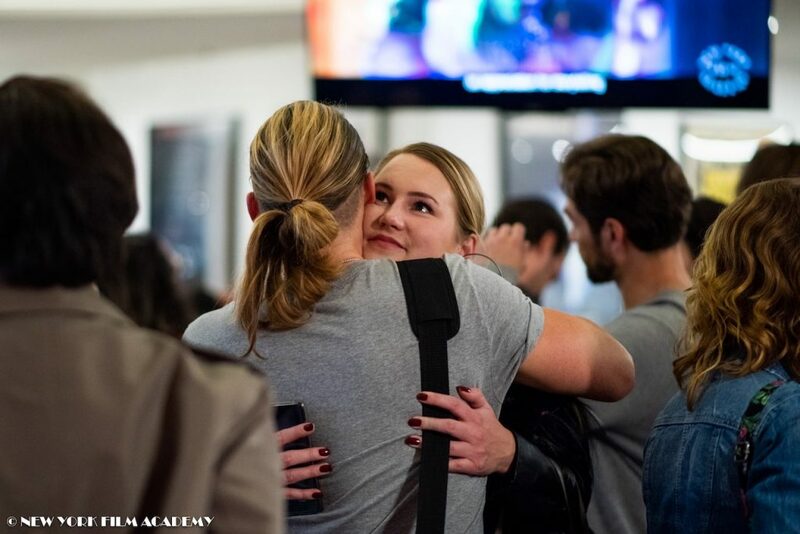 Mey Novak (MN): Acting has always been inside me. I was in all the school plays, performing for my family during Christmastime, I always watched movies… it was kind of my happy place growing up. I always knew I wanted to be an actress. I remember being around seven years old watching movies and saying I wanted to do that one day. When I got my theatre degree in Brazil I knew it was time to go to the US to study my craft further, and I saw that the New York Film Academy was auditioning in Brazil and that it was my time. 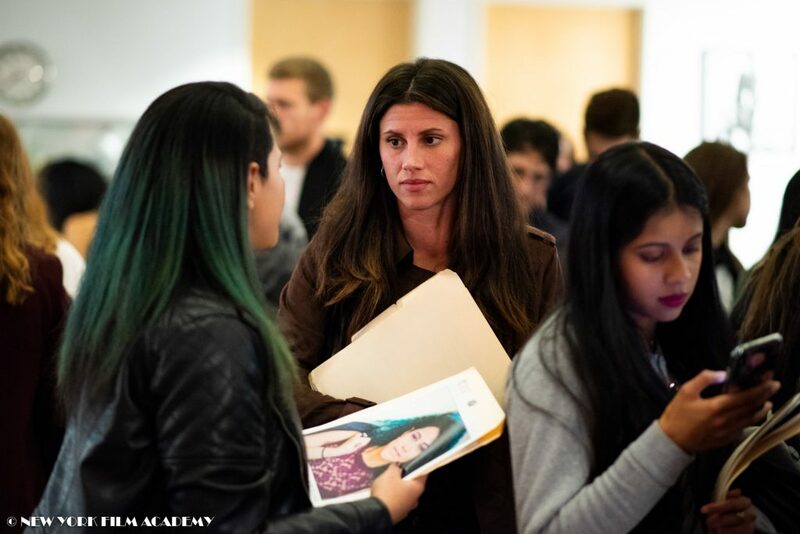 NYFA: Is there anything about your Brazilian background that you apply to acting in the United States? MN: Yes, I was very versatile because of my Brazilian background. We are a very culturally rich country, so I realized I could play all sorts of foreign roles the industry requires all the time. My first commercial in the US I played a Russian girl. I hadn’t even thought about it before, then I noticed there was a whole thing for foreign accents and types in the US. NYFA: Can you tell us about River Runs Red? MN:River Runs Red tells the story of an African American judge whose son is murdered by the police. It’s a very strong and currently relevant plot—it’s necessary because it talks about the racism that still exists nowadays in the US, in Brazil, and the whole world. NYFA: What did you learn at NYFA that you applied directly to your work on River Runs Red,or your work in general? MN: So many things!! NYFA was a stepping stone in my career! First, I have learned with the best teachers—I’ve found mentors for life that even after school was over I had supporting me. I’ve also learned how to be a professional—it was more than just going to class, learn a method, and go home—I learned about the real world of acting and the industry. And I had the chance to practice while I was in school. This is very important. I was in touch with the filmmaking students, I was auditioning, shooting with them, also with the photography students, etc. So when my first big job arrived, I was ready. It was very important. For my acting specifically, I’ve learned my favorite method, the “Meisner technique” at NYFA, it’s necessary to me on set. MN: I’m currently in Brazil shooting a show in Portuguese called Os 3 Irmaos (The 3 Brothers). It’s my first time acting in Portuguese after such a long time working in the US. After this I have plans to work in Europe for a while. 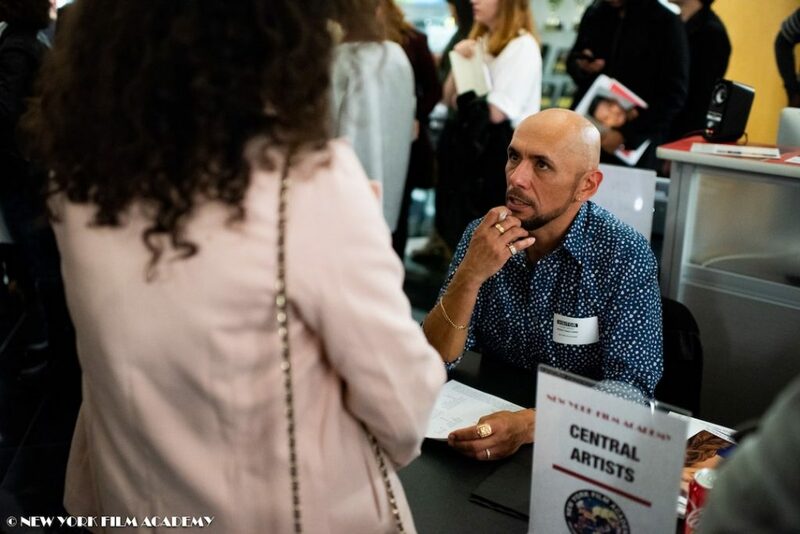 NYFA: What’s your dream role? MN: I love action movies, I’m obsessed with them!!! I practice martial arts and have studied Stage Combat since my NYFA days, and my dream is definitely a strong female role in an action movie with amazing choreography, like in John Wick. MN: I’d say enjoy your time there and listen to every single thing your teacher has to say—they really know about the industry. Be the first one to arrive and the last one to leave, it really pays off! MN: I want to say to all the aspiring actors to follow their dreams! Sounds cliché but there will be doubts, there will be moments you just want to give up, but you just need that one person to believe in you and that one “Yes” that changes everything. Be grateful and embrace every step of the journey! 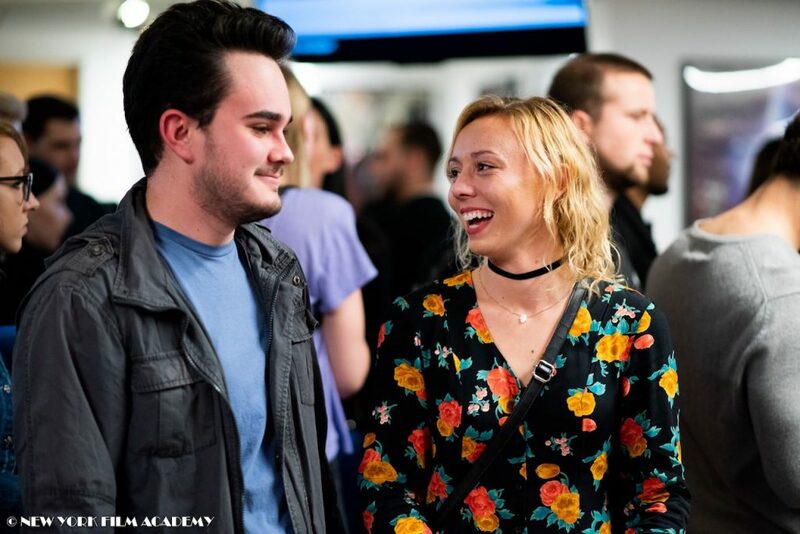 The New York Film Academy thanks actress and NYFA alum Mey Novak for taking the time to answer our questions and wishes her the best of luck as her career continues to grow! On January 18, Everygirl opened at the Kallio School in Helsinki, Finland. 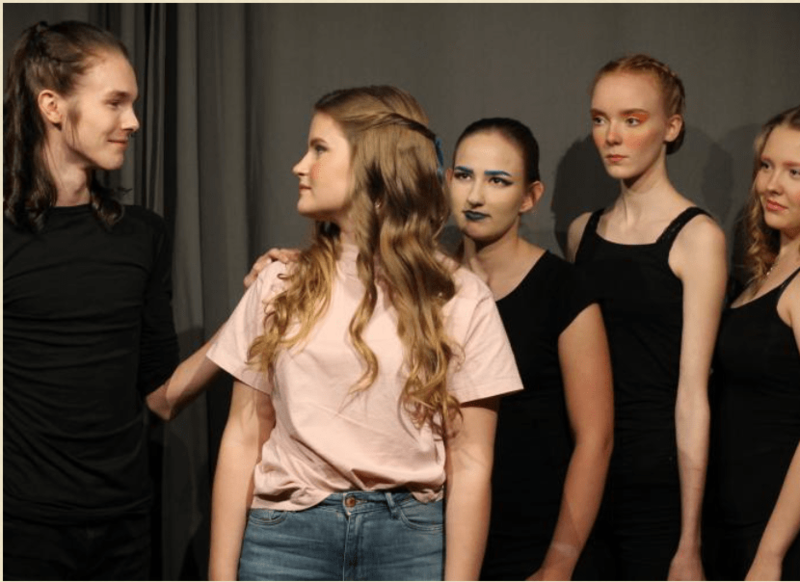 Directed by Annemari Untamala, the play was written by actor, director, and Acting for Film instructor at the New York Film Academy (NYFA), Peter Allen Stone. 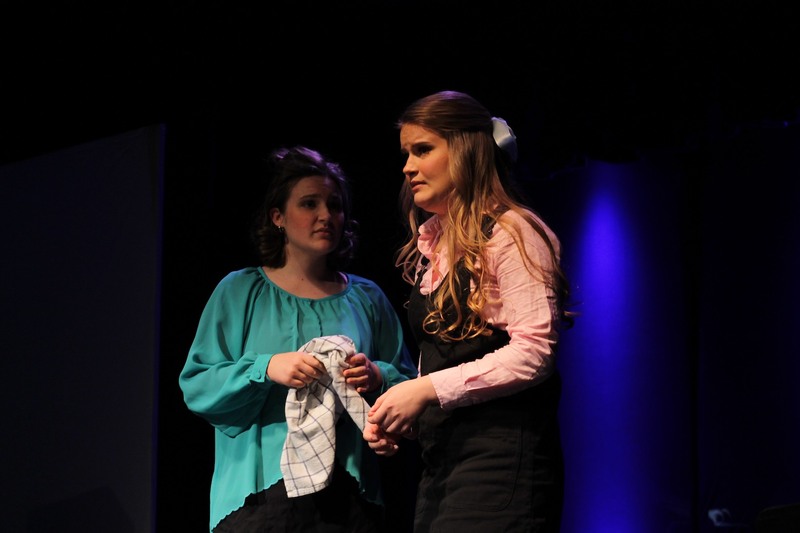 The play concerns a 17-year-old girl who finds out she is dead at the beginning of the story. 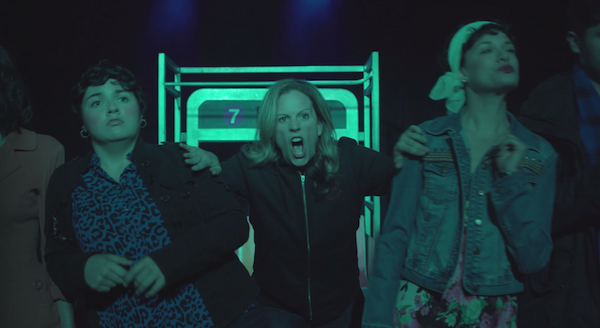 Everygirl is based on a famous morality play from the 15th century, updated by Stone with a transgender character and LGBTIQA+ themes. The original medieval play, Everyman, was used by the church to encourage people to be good, or they may end up going to hell. 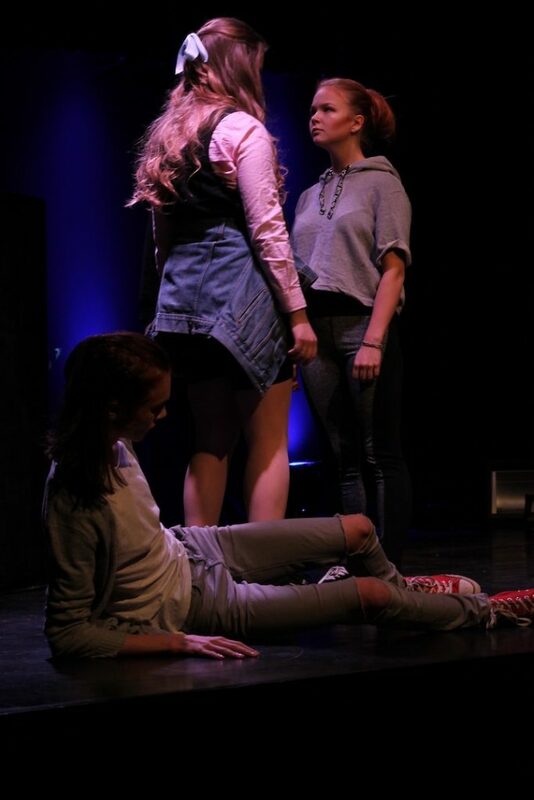 In 2013, after watching 16 high school plays in two days while at a theatre competition, Stone began devising a more modern version. The next weekend, Stone outlined his vision for the play. 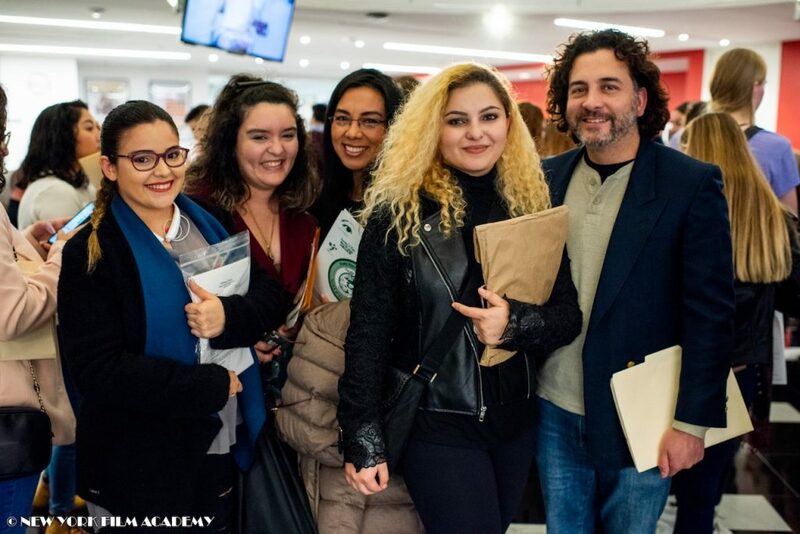 After three years of talking about it with colleagues and running it through his mind, he finally sat down and wrote a first draft while teaching at NYFA’s Florence location. Later that year while back in New York, Stone workshopped the play with some NYFA students. By the time a final draft was written, Everygirl had also included themes like minimalism and consumerism. One character, Things, appears through Facetime. Other characters include Death, Best Friend, Father, Fear, Beauty, Strength, and Knowledge. However, it is the play’s connection to youth and the place of kindness in the modern world that serves as the story’s backbone. 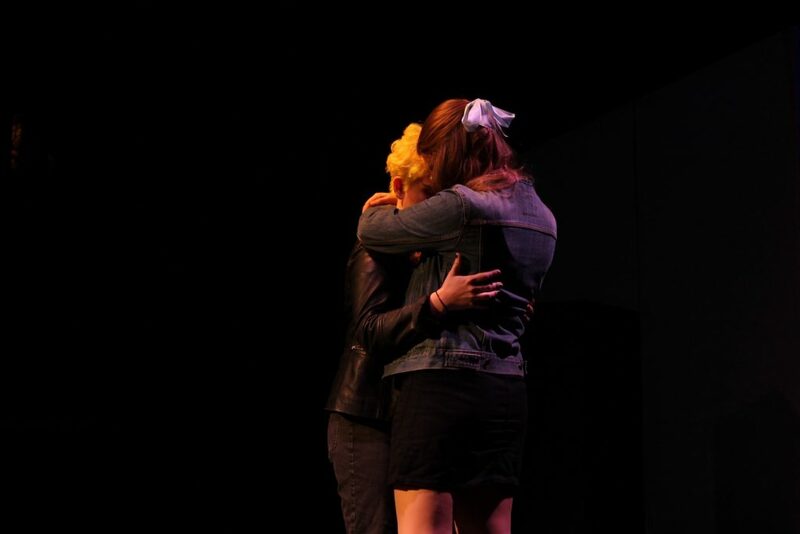 Explains Stone, “There is a transgender character named Kindnessin the play that represents the kind acts that we can do to one another everyday of our lives regardless of race, religion, or sexual orientation if we choose to lead with love.” Additionally, there is a character named Boyfriend/Girlfriend, a fluid role that can be played by a performer of any gender. Everygirl premieres January 18, where the Deputy Mayor of Education for the City of Helsinki will be in attendance. 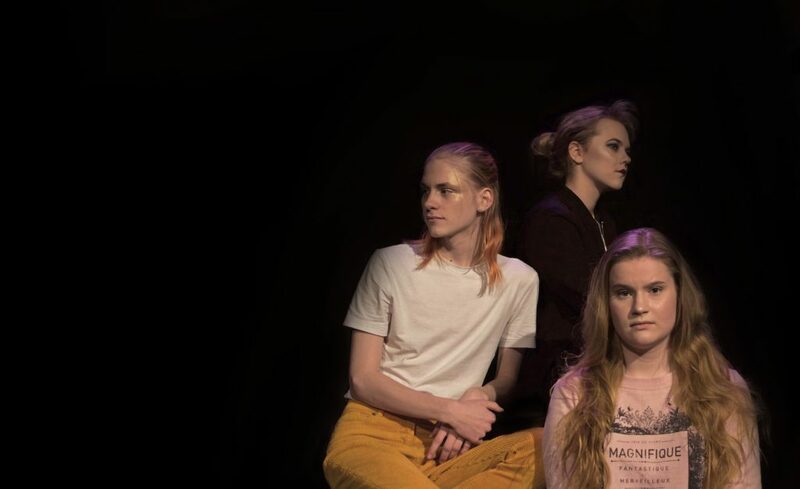 Information about the play can be found on Helsinki’s Arts and Culture website. 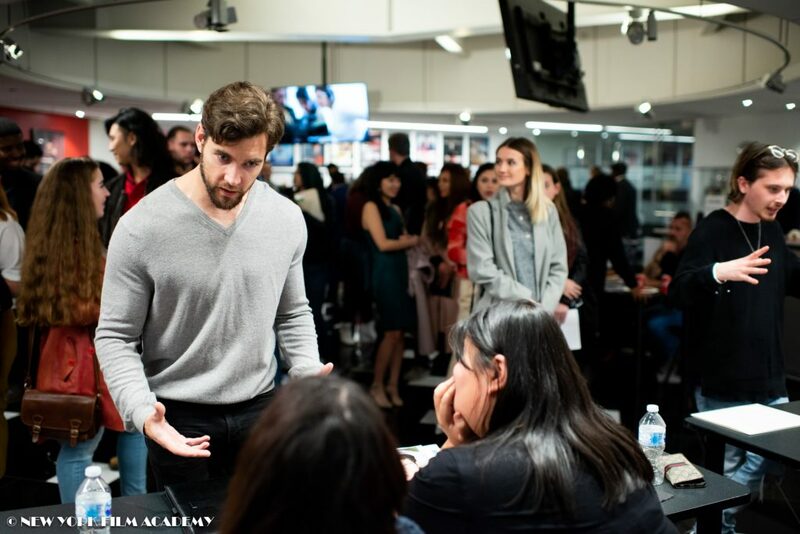 The New York Film Academy congratulates NYFA instructor Peter Allen Stone for continuing to apply his talents and passion to praiseworthy projects like Everygirl both home and abroad! New York Film Academy (NYFA) Alum Tyler Williams can be seen in the new Netflix series, Medal of Honor, a docudrama anthology series based on real life servicemen who have earned the military’s highest award for valor. 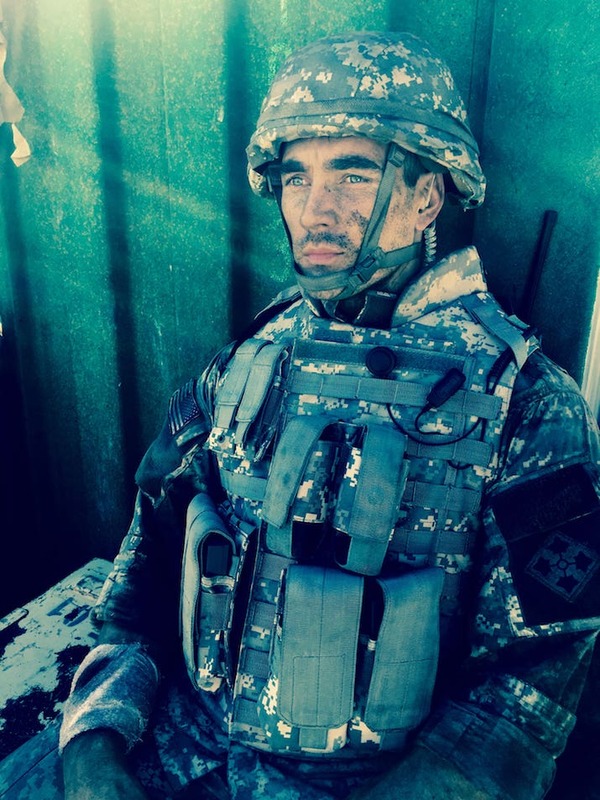 It’s perfect casting for the Robert Zemeckis-produced series, as Williams isn’t just a graduate of NYFA’s Bachelor of Fine Arts in Acting for Film program, but a military veteran as well. Shortly after 9/11, Williams joined the Marine Corps, where he was eventually assigned to a top secret joint task force. After four years, Williams received an Honorable Discharge and attended business school full time in New Mexico. After trying out for a local production starring Val Kilmer and Gary Cole for a small part as a Marine, Williams was asked to be the military technical consultant for the film, as well as a stand-in for Val Kilmer. It was his first film role and first time on a movie set. He tells NYFA, “I remember looking for the director like, ‘Who’s the General around here?’ I had no idea who did what on the set.” By the end of the shoot, Williams had fallen in love with acting for film. 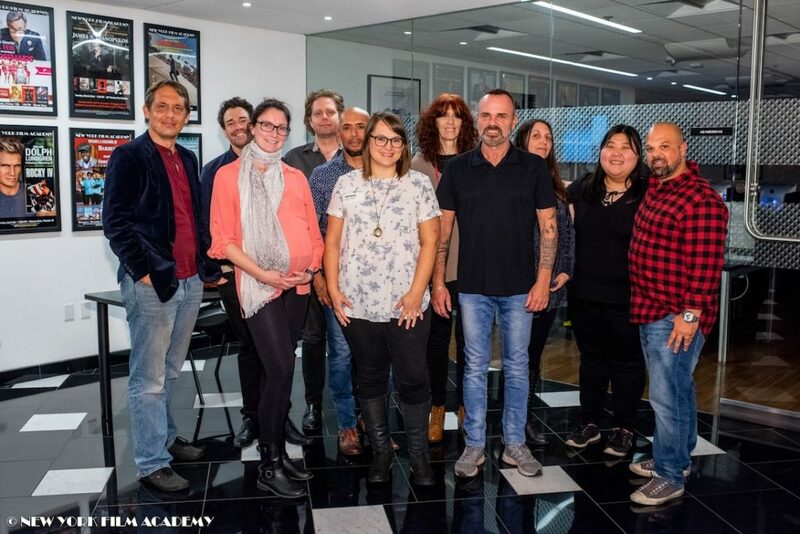 The background casting director of Medal of Honor, looking to use actual veterans, had contacted New York Film Academy, knowing the school has enrolled nearly 2000 veteran students and military dependents since 2009. This was how Williams found himself on the set of the Netflix series as a background actor. After one of the featured actors, Paul Wesley, was injured on set by a ricochet special effect, Williams was called over to double for him. After impressing the crew with his expertise around military weapons, he was invited to sit with the “stunt table” at lunch. By the end of that day’s shoot, Williams had been asked to do more stunts the following day. One complicated stunt Williams performed for the crew involved being yanked back while in a “jerk vest” to simulate being thrown back by an RPG explosion. “It looked amazing on camera!” Williams tells NYFA. 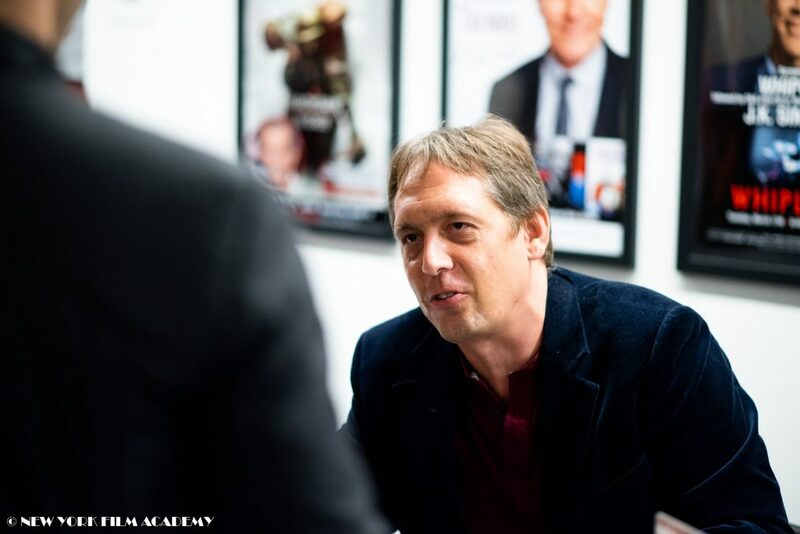 Williams credits not just his stunt classes at NYFA but also the school’s instruction in camerawork with helping him tailor his stunts to the specific scenes and set-ups. Other film credits for Williams include the films Gamer, The Spirit, and MacGruber. 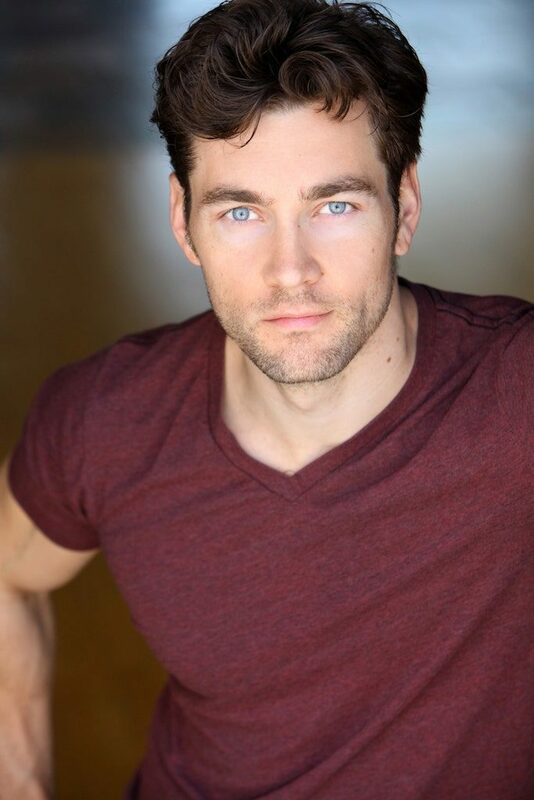 Currently, Williams is working as a stunt coordinator on an MFA Thesis film, as well as auditioning for roles on major television series. 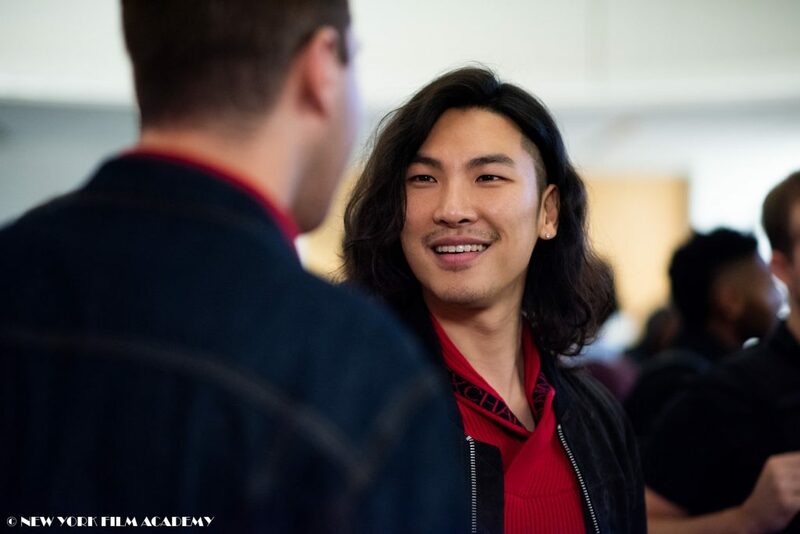 He is also developing content for his YouTube channel, and advises fellow NYFA students and alumni to make their own content to help break into the industry. The New York Film Academy congratulates Acting for Film alum Tyler Williams on his latest role in Netflix’s Medal of Honor and looks forward to watching his career develop! Just as 2018 was wrapping up, Netflix managed to squeeze one more buzzworthy hit movie into the zeitgeist with Bird Box, a post-apocalyptic thriller starring Sandra Bullock and featuring a haunting, memorable scene with New York Film Academy (NYFA) Acting for Film instructor, Happy Anderson. Bird Box was an instant hit, dominating social media with both high praise and viral memes. According to Netflix, it was the media company’s biggest opening to date, having been streamed by over 45 million accounts in its first week alone. The film, directed by Susanne Bier and written by Eric Heisserer based on the novel of the same name by Josh Malerman, is a story about survivors who must keep themselves blindfolded to stay alive from mysterious creatures who drive people insane once they look at them. Some of the infected victims are compelled to force survivors to open their eyes and look at the creatures. As Sandra Bullock’s protagonist rows down a river blindfolded while protecting two children, a mysterious River Man comes out of the fog and attacks them. 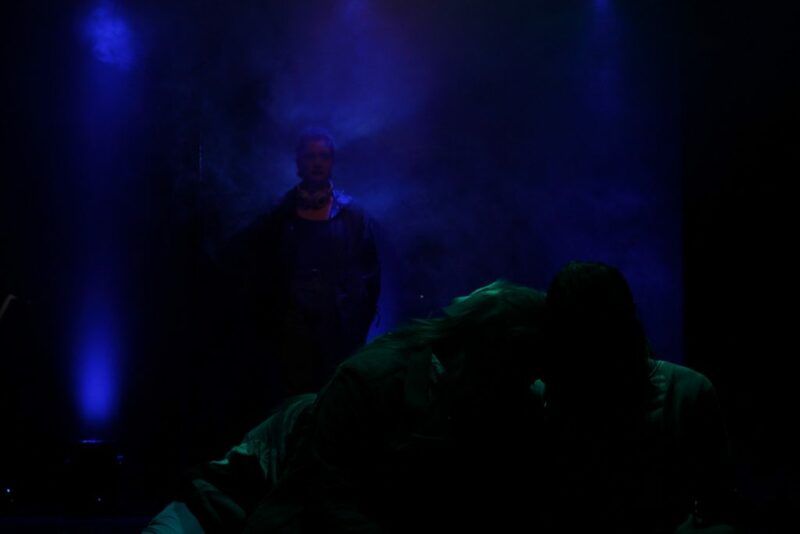 The scene is moody and tense before coming to a violent, thrilling, and frightful conclusion. The River Man is played by actor and NYFA instructor Happy Anderson. Anderson had a blast shooting the scene, posting photos to his social media of the complicated rig needed to shoot in waist-deep water. “Bird Box time was a very fun time!” he wrote, included with a production still. Bird Box is the latest in a string of impressive credits for Anderson, including another Netflix original film, Bright, starring Will Smith, and Mindhunter, the drama series from David Fincher that was also produced and distributed by Netflix. Other credits include Gotham, The Blacklist, The Tick, and The Knick, co-starring Clive Owen and NYFA alum Eve Hewson. Upcoming projects include the X-Men horror film The New Mutants and the highly-anticipated television adaptation of Snowpiercer. 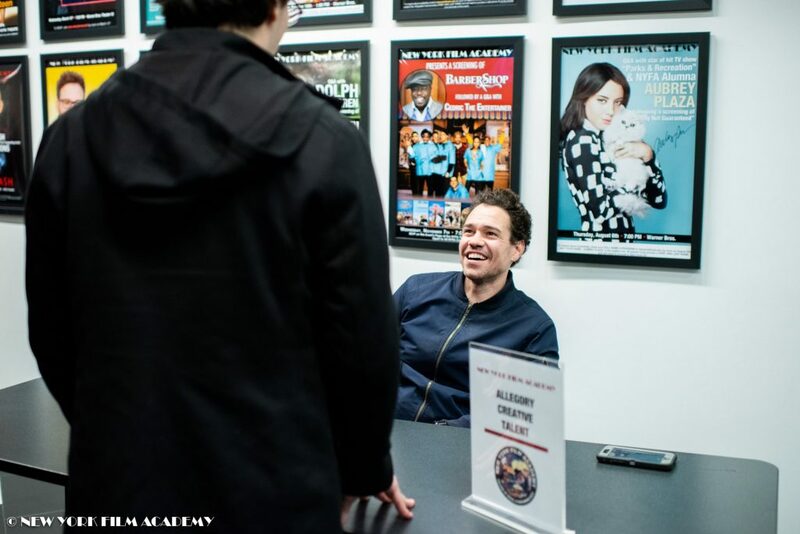 Anderson teaches Acting for Film at NYFA’s New York campus, along with many other working professionals who teach at the acting school. 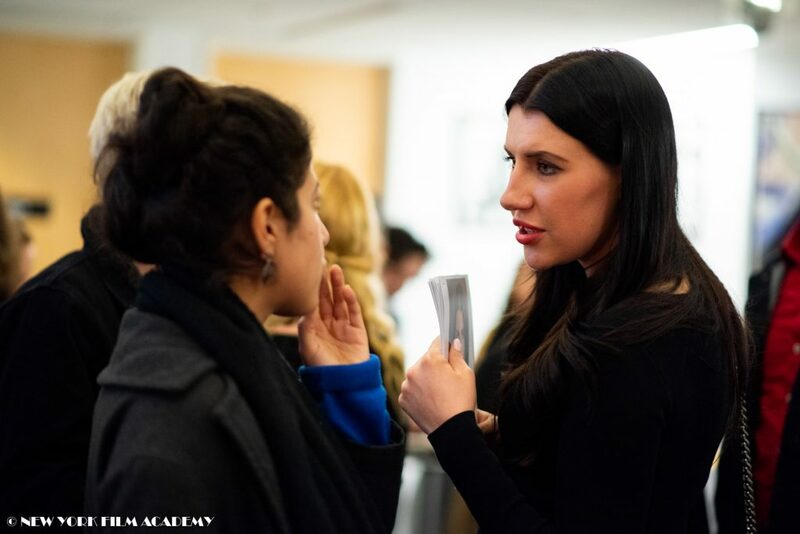 The Academy prides itself on its faculty, who share with students their experience and expertise from working in a dynamic, competitive, labor-intensive industry. The New York Film Academy congratulates Acting for Film instructor Happy Anderson on his latest role and encourages everyone who hasn’t to check out the mysterious and haunting thriller, Bird Box! 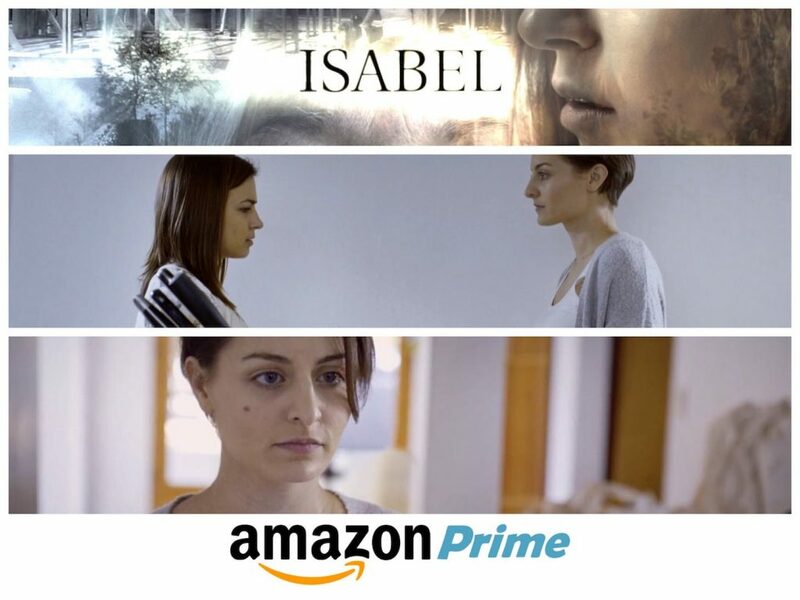 Isabel, a short film starring New York Film Academy (NYFA) Acting for Film alum Ioanna Meli, is now available on Amazon Prime Video, allowing millions of the streaming service’s subscribers to check out the haunting drama. 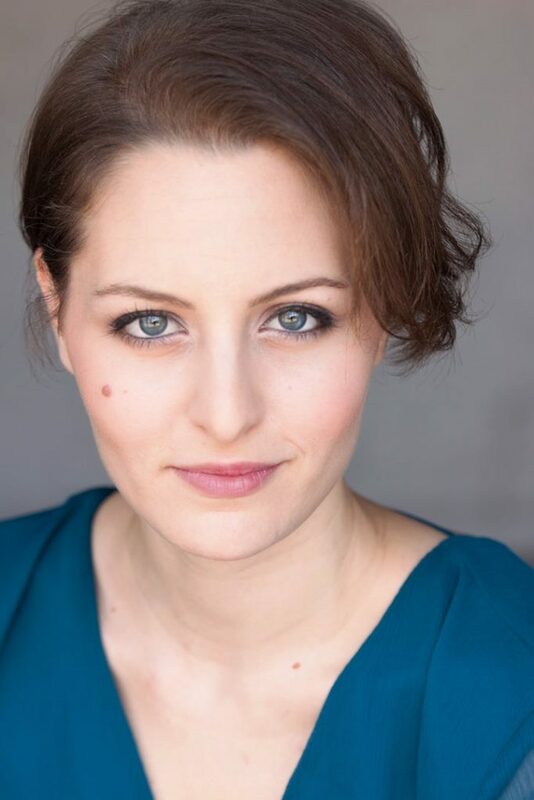 Ioanna Meli originally hails from Greece, and studied for her Master of Fine Arts in Acting for Film from NYFA’s Los Angeles campus, where she was trained and taught by a faculty of working professionals from Hollywood, Broadway, and the independent film industry. 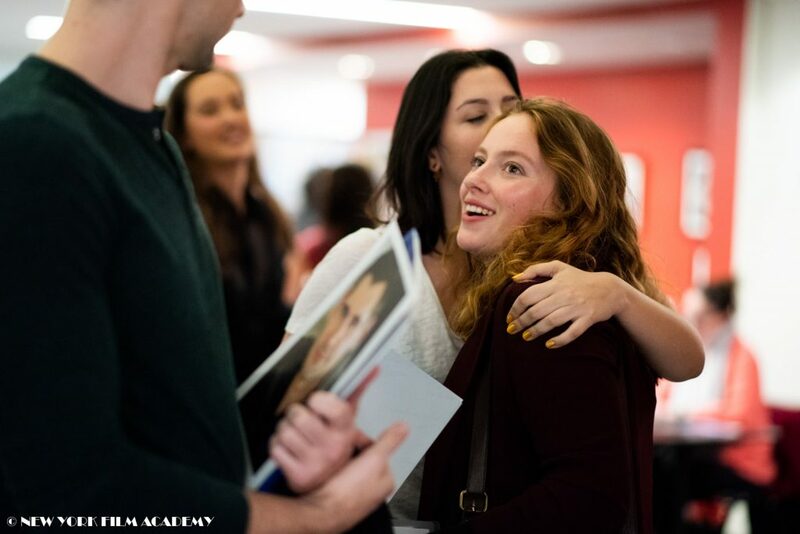 NYFA’s MFA in Acting for Film program is an intense commitment — students learn two years’ worth of education in only sixteen months, and are often rehearsing and studying on weekends, in evenings, and wherever they can find those extra minutes to devote to their craft. Meli was more than up for the task however, and her work in Isabel shows off her talent and the skills she picked up while at the Academy. Written and directed by Alex Knudsen based on a story by Charlotte Zang, Isabel tells the story of an elderly woman named Isabel Dove at the very end of her life. However, when she seemingly passes away, she wakes up hours later as her younger self. The mystery grows deeper from there as Isabel searches for answers and reflects on the life she thought she was leaving behind. The film stars Jamie Donnelly and Lauren Elyse Buckley as old and young Isabel, respectively; Meli co-stars as Meredith. 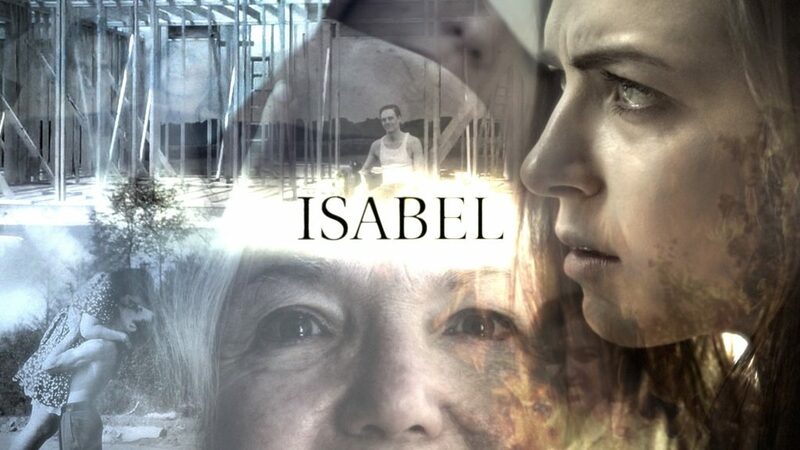 The New York Film Academy congratulates Acting for Film alum Ioanna Meli on her stellar work in Isabel, and encourages everyone who can to check it out on Amazon Prime Video! 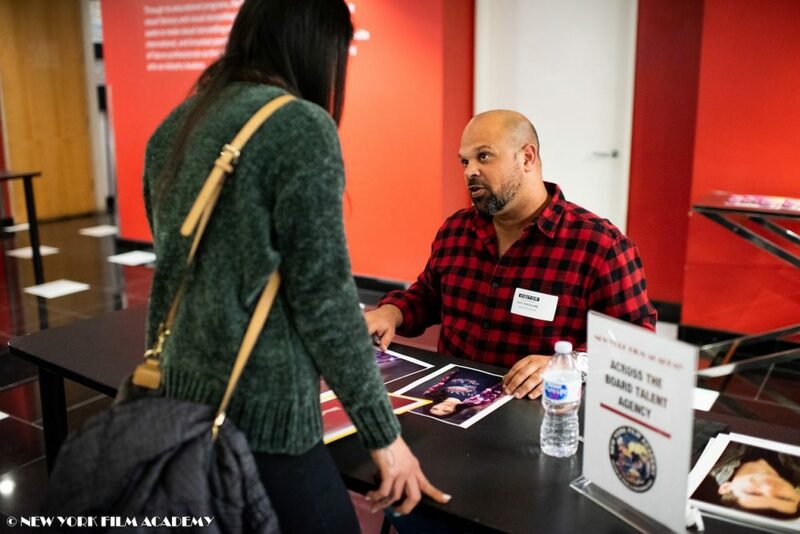 On Thursday, December 6, New York Film Academy (NYFA) hosted a TALENT MEET AND GREET at its Los Angeles Campus. 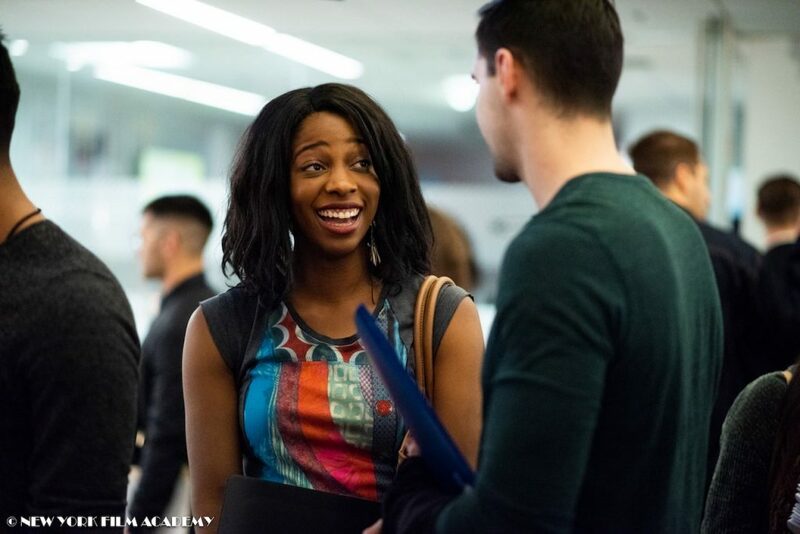 NYFA invited talent agents and managers from around Hollywood to meet with Acting for Film alumni in an informal setting. Agents and managers that attended the event were: Guy Kochlani (Across the Board Talent Agency), Laura Bowman (Brady, Brannon & Rick Talent), Ryan Hayden (Ideal Talent Agency), Denise Barrett (BBA Talent), Jean-Marc Carre & Vincent Carre (Central Artists), Sandy Oroumieh & Lucia Chiao (Rothman / Andrés Entertainment), Christopher Montgomery-Bender (Prodigy Talent), and Tyler Kahl (Allegory Creative Talent). 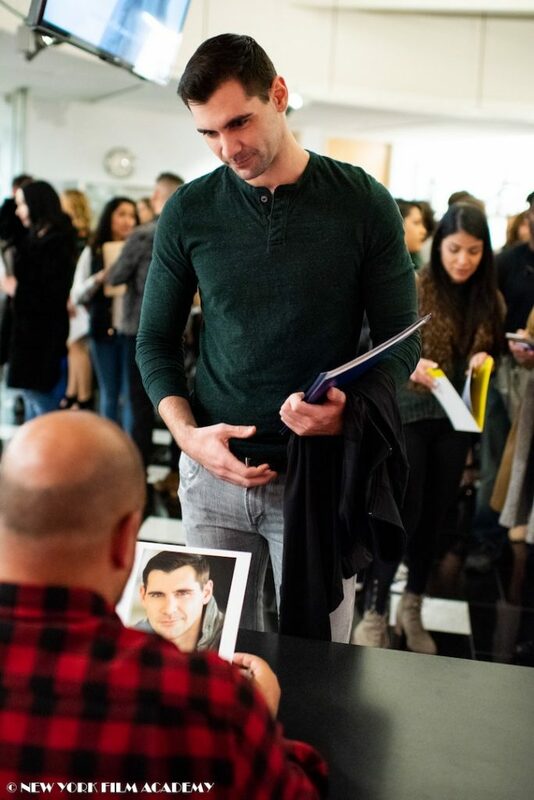 The talent agents and managers set up their own desks and booths and NYFA alumni went from table to table handing out headshots and spending a few minutes with each representative. 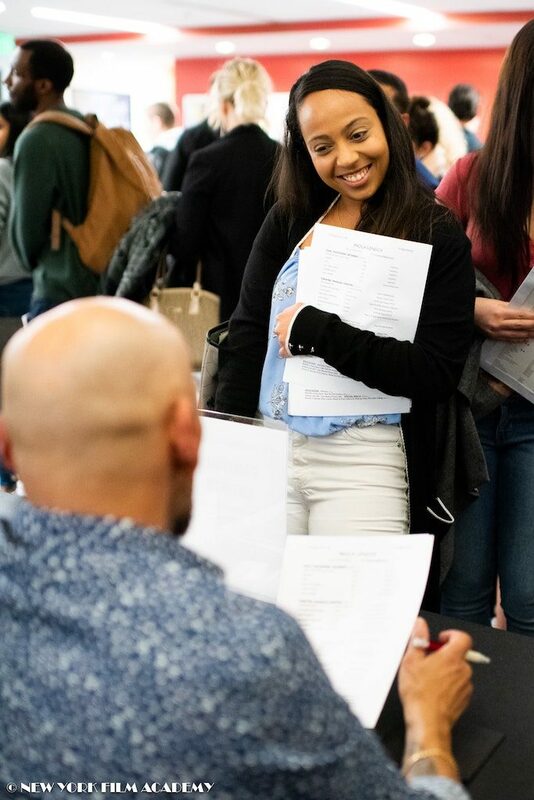 For the aspiring actors this was a unique opportunity to meet many talent representatives — all in one evening! 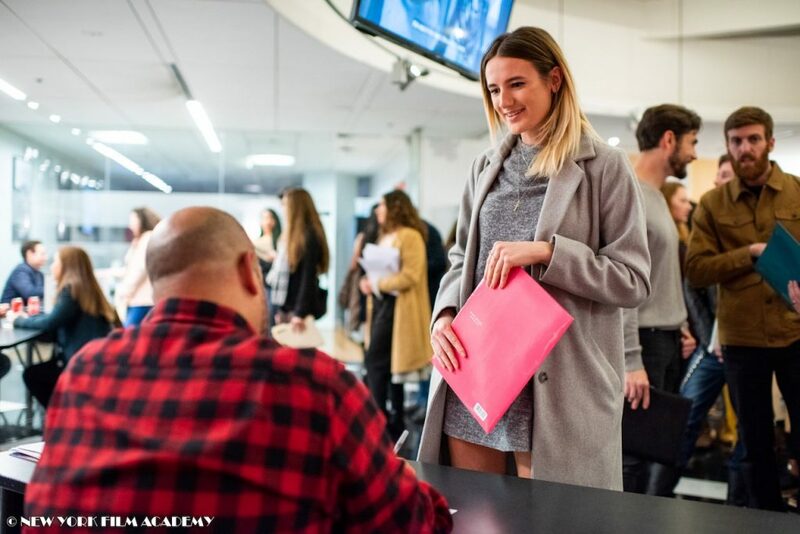 The NYFA alumni were given time to pitch themselves and ask the agents and managers advice on careers, the entertainment industry, and how to succeed. 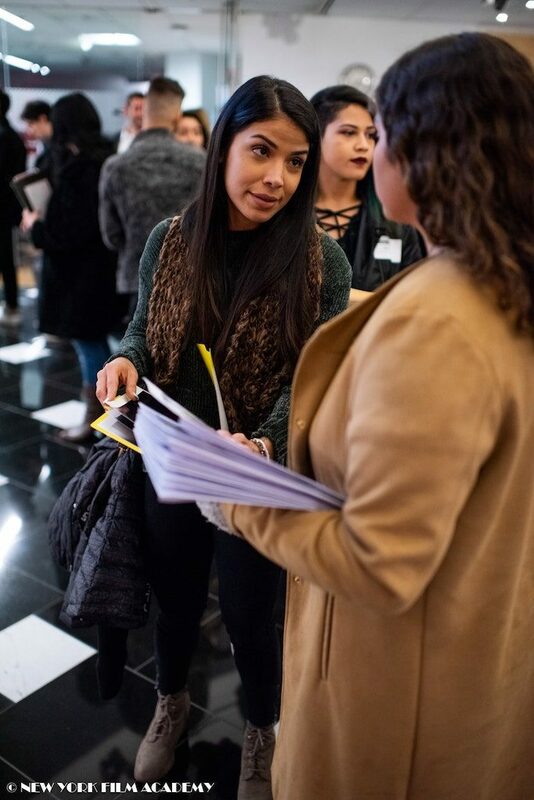 Hearing real-world critiques from a variety of industry professionals helped them better prepare for their future as they continue to network and pursue their acting careers. 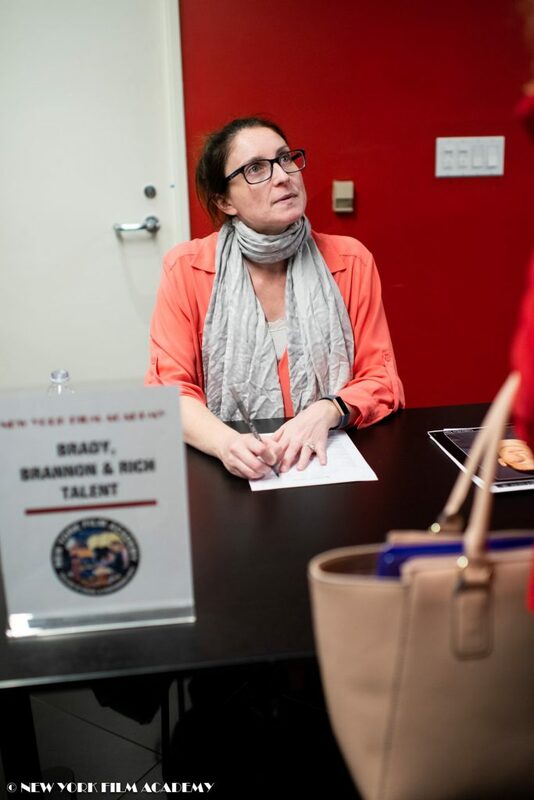 Barbara Weintraub, Chair of Industry Outreach and Professional Development, organized the event and was thrilled with the turnout and positive feedback from both the alumni and agencies. She heard back from students the next day who were contacted by the companies. This experience has been nothing short of amazing. 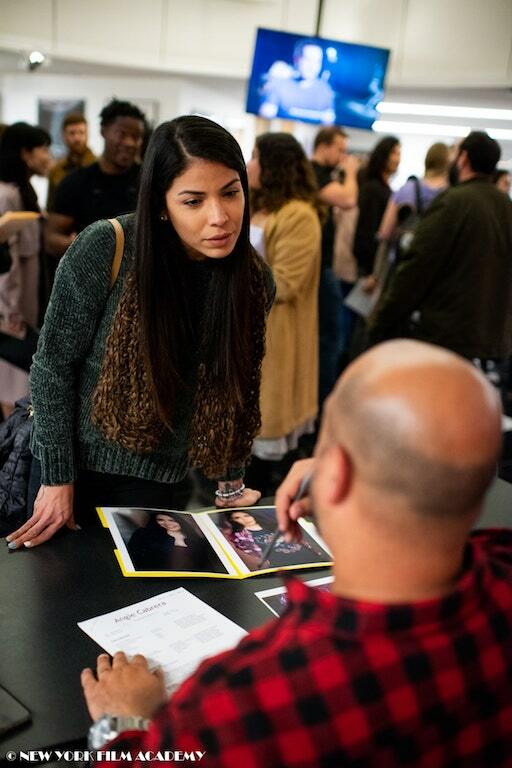 It’s one thing to email your headshot and resume to an agent and hope to hear back, but now not only do you get to hand them a physical copy — you get to sell your personality to them. I love this. It’s a great opportunity to meet with agents and managers! It’s great to see agents in real life instead of just submitting your headshot. 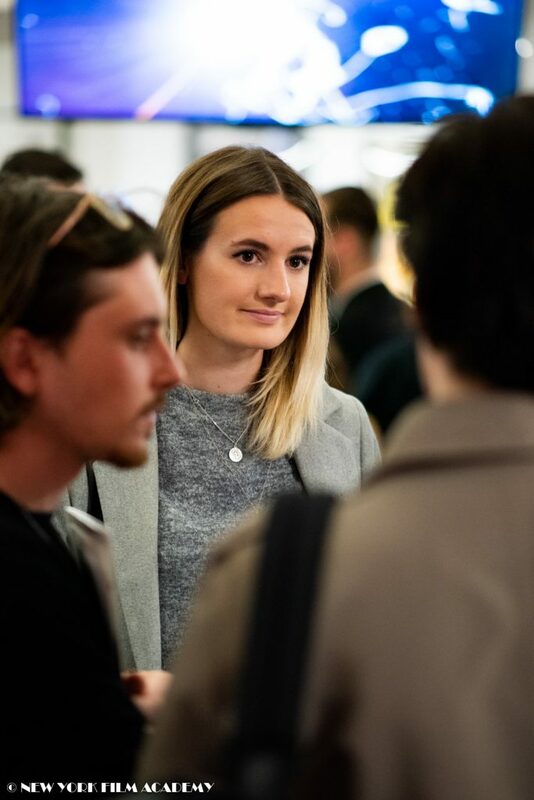 This event is so great, and I am so happy that the school is doing this and giving us the opportunity to get in touch with people in the industry and to get to know new people and talk to them. New York Film Academy thanks the industry representatives for their time and looks forward to having more of these events in the future!